1. 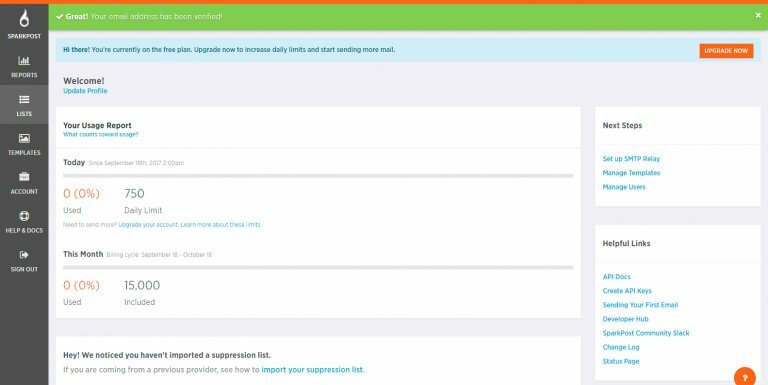 Create account with Sparkpost and select a plan. 5. After registration you will receive a confirmation email with activation link, just click this link to complete registration process. 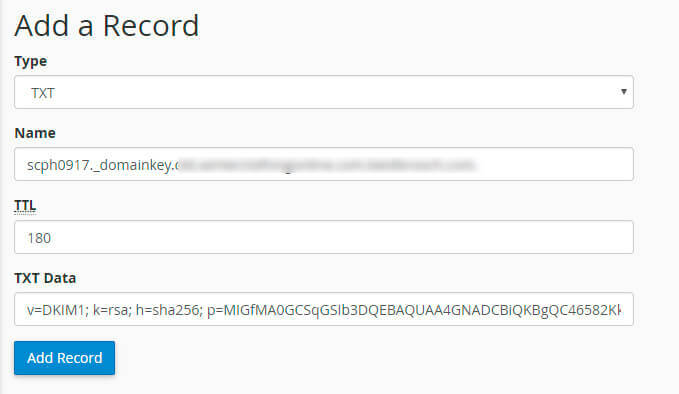 To use your domain for sending, add TXT record to your DNS settings, paying close attention to the specified hostname. or your domain registrar account. It depends on the way you propagated your domain name. If you changed DNS – find your TXT records in cPanel, if you changed IP – you need to find them in your domain registrar account. Find both instructions below, but you need to follow only one option. 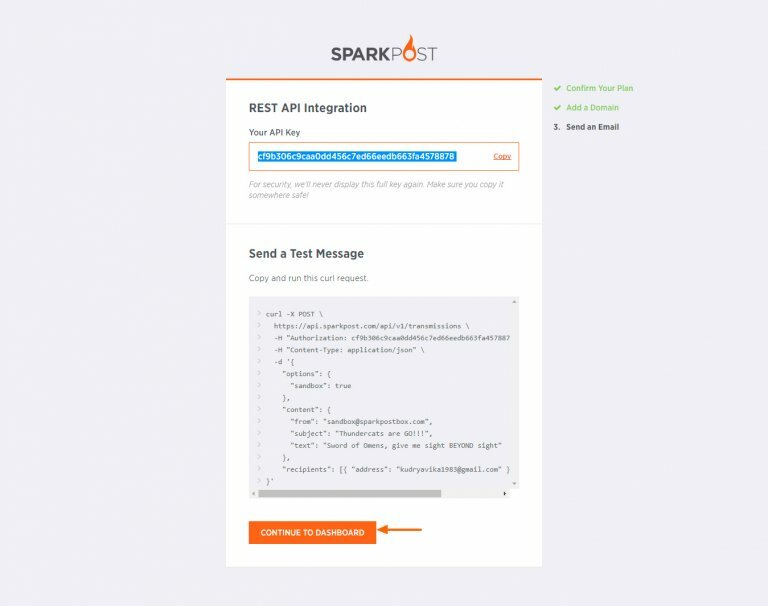 Put in the Host and Value fields the Hostname and Value from your Sparkpost account.